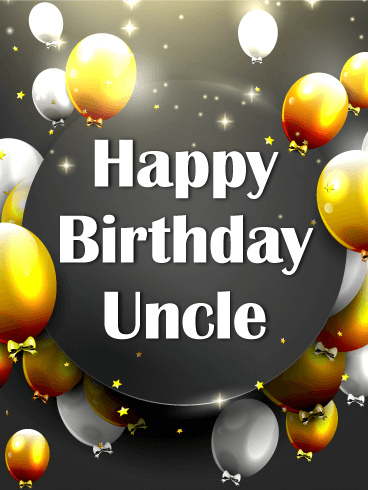 A golden yellow background and lots of festive blue balloons floating at top will fill your uncle's birthday with lots of fun! This cheerful birthday card is a great pick for such a special family member. It's a wish for him to celebrate every moment and to share warm memories with the people who matter most. Whether you're there with him or sending your best from far away, this birthday card is sure to make him feel remembered and loved. 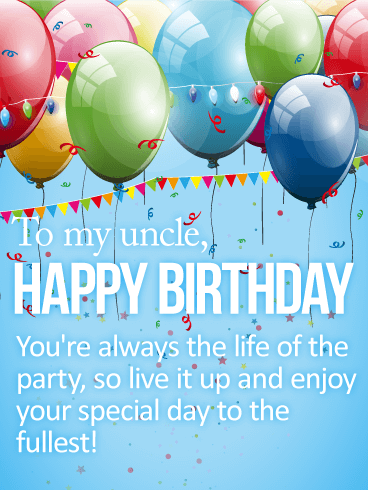 This bright and cheerful birthday card creates the perfect party atmosphere for your uncle, complete with colorful balloons and confetti decorating the top! Below is a heartfelt message to let him know how much he is loved by everyone around him, especially you. 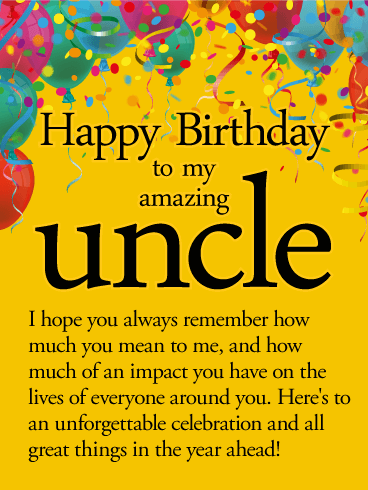 This is a great choice for anyone who has a close bond with their uncle, and thinks of him not only as part of the family, but as a friend as well. Balloons? Check! Streamers? Check! Confetti? Check! 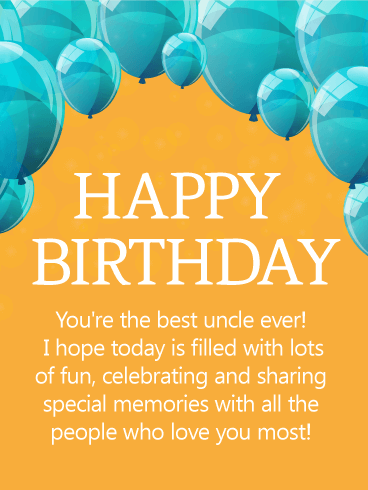 A fun birthday greeting for the coolest uncle around? Check! This birthday card is the best way to wish him an unforgettable celebration filled with all his favorite people. It's also a thoughtful reminder of just how much he means to you and your family today and every day!